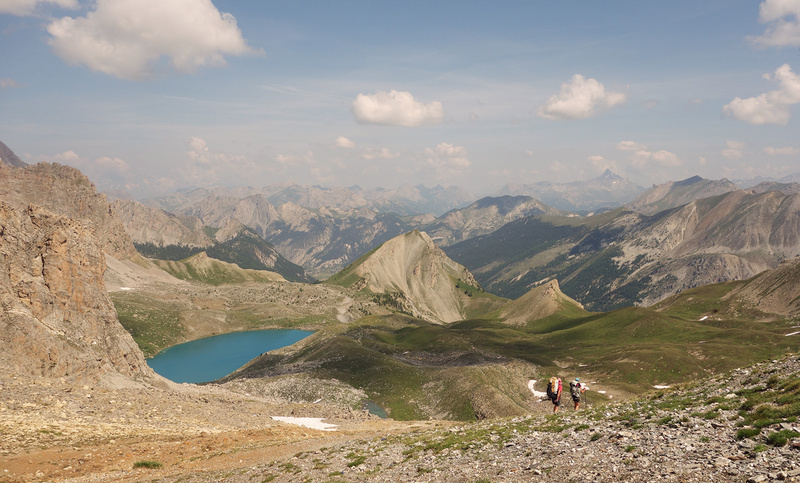 Back in 2009 I remember how, at the beginning of our Alpine Pass Route hike, we met a middle-aged French hiker who had just completed the APR in the opposite direction. The man was muddy and his face, behind an unshaven beard, looked tired. We assumed he had had a rough time because of the unstable weather. Unlike us, back then, he was a camper. Our backpacks were heavy with unsuitable gear and so, to us, it seemed incredible that someone could have camped out for the whole three weeks. I decided that one day I would be like that man, who seemed like a real hero, and do a similar hike alone with a tent. 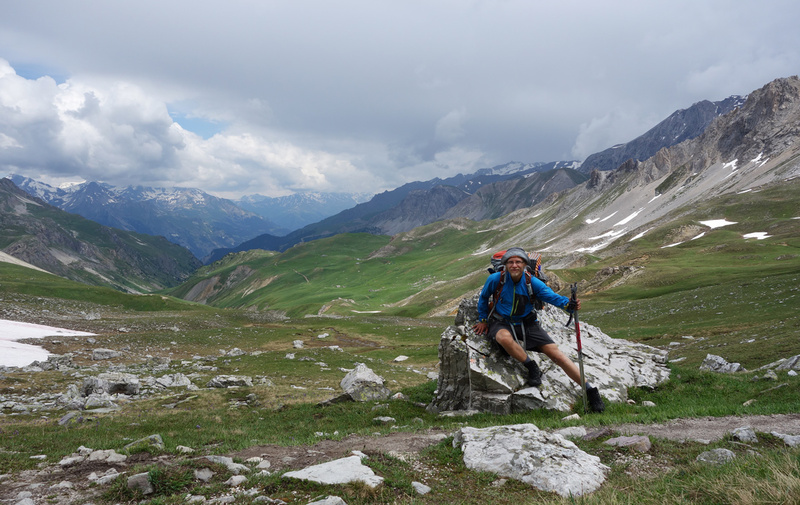 In July 2013 I became like that man, and did a solo crossing through the Alps, along the spectacular Grand Traverse of the Alps – GR5. Here’s a summary of my thoughts about the route, how I prepared for it and what to consider. 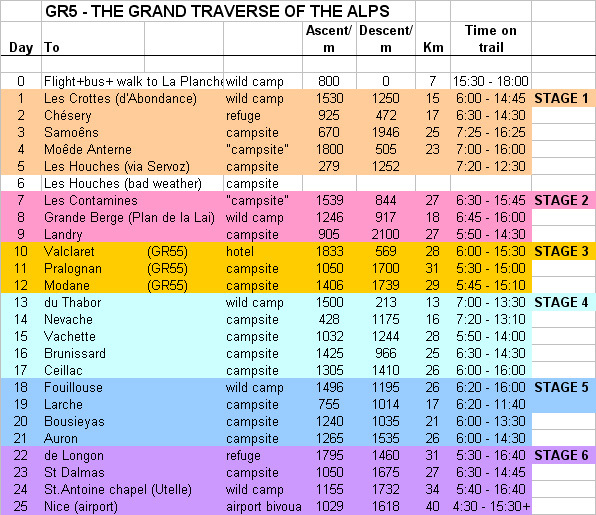 I hope this will help you to plan your own hike along the Alpine part of the GR5. 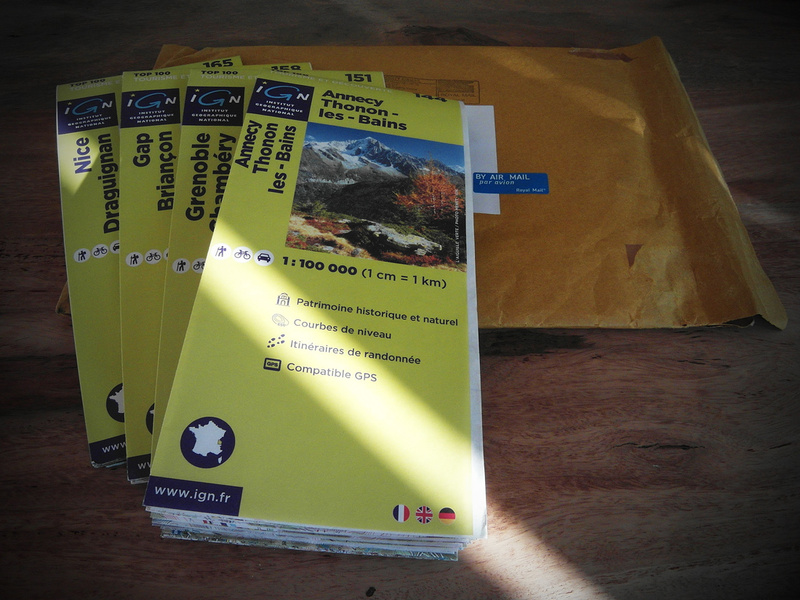 How to order the English version of my GR5 travelogue – HERE. 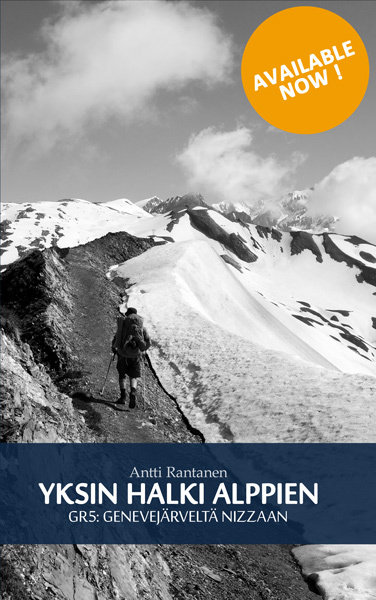 How to order the Finnish version of my GR5 travelogue – HERE. * The weather was very nice in July and fortunately, it didn’t rain too much. It was too hot only during the last few days, near the scorching Mediterranean sun. 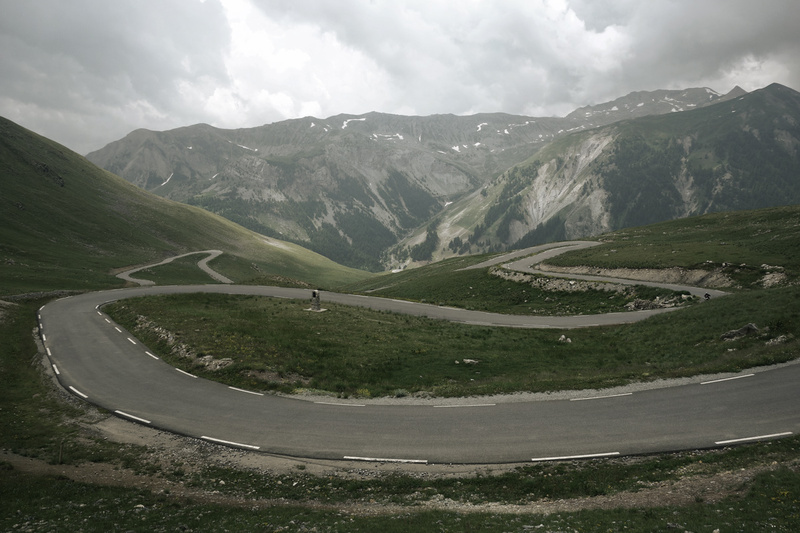 * It’s hard to hope for any better landscapes than this. Good thing is that the scenery changes along the trail so you’ll feel the progress and won’t feel numb about the constant line of mountains. * For me worked well the combination of wild camping and campsites. 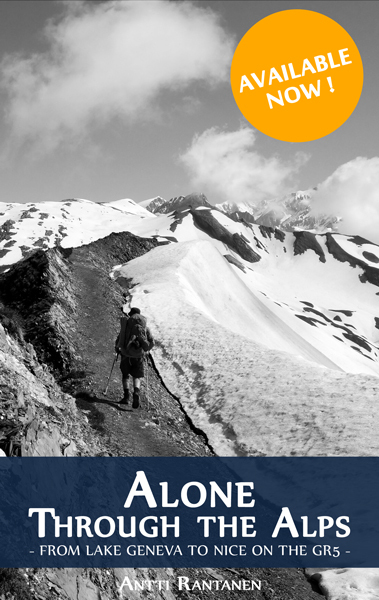 * To hike one month solo is unbelievably rich experience. * Plenty of services throughout the hike. * Easy to navigate, good paths and signposts. * My walking felt strong and I avoided any blisters or injuries. * The trail wasn’t too crowded. Some sections were more popular, especially at weekends but several days passed by without seeing much people at all. And in the morning it was always very quiet to walk (between 6-9 am). 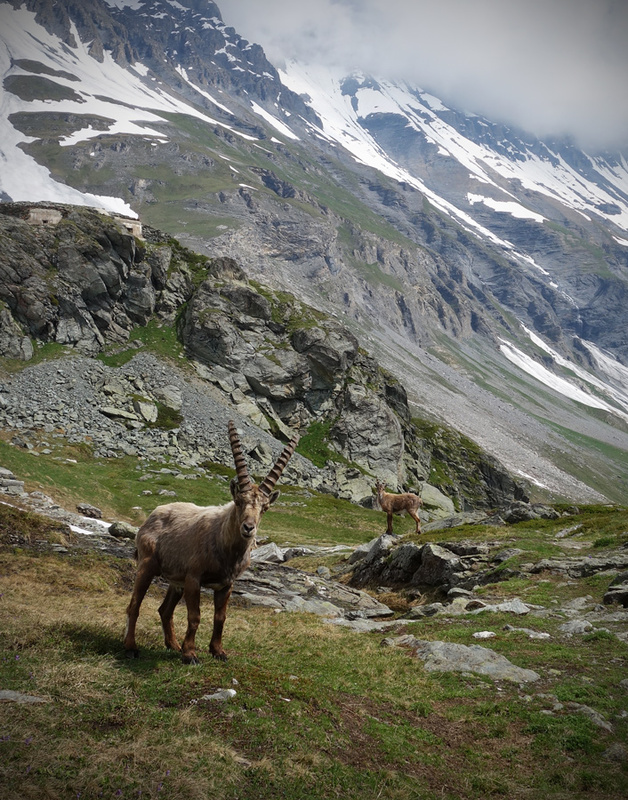 * Lot of wildlife; marmots, chamoix, bouquetins and even a golden eagle. * I don’t like to deal with the sheep dogs. * I would have liked to meet more like minded long distance hikers. * The huge amount of snow this year. * My shoes got broken in the end. * Nuisance of the language barrier (French). 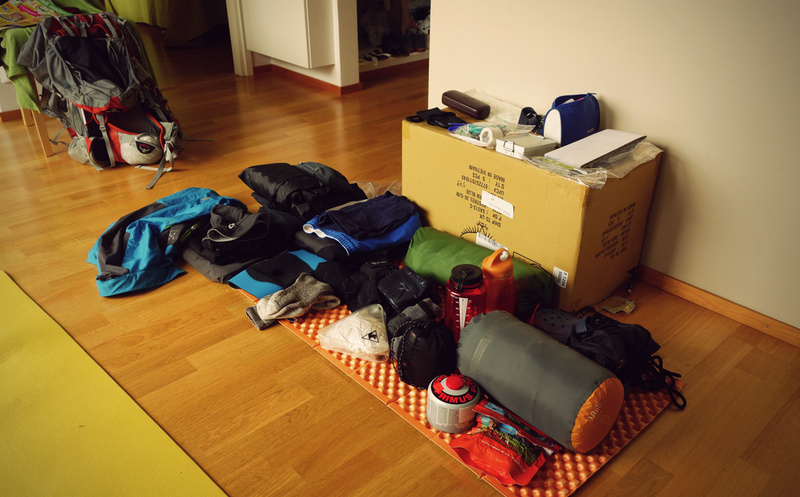 My basic three were (about 3,5 kilos in total) Vaude Power Lizard tent, Osprey Exos 58 and RAB Alpine 400 down sleeping bag with a Thermarest cell foam mattress. Then rain gear and warm clothes as the wind and rain can be cold together. 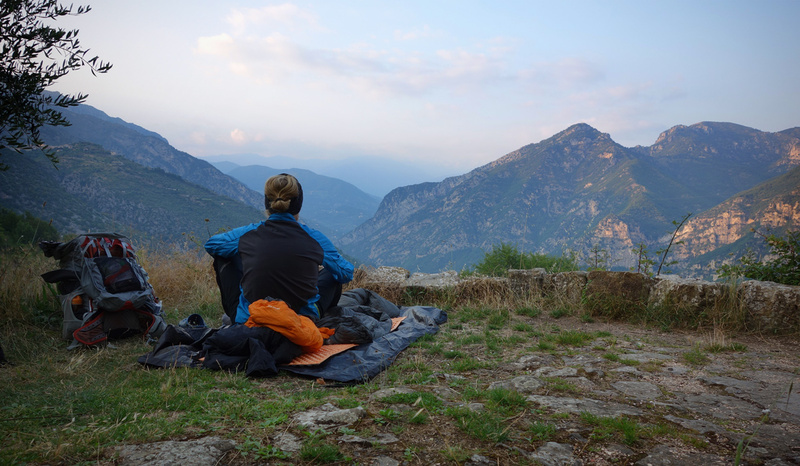 During the night the temps went sometimes down to +5C so my warm sleeping bag was quite alright. I’m not using electronic devices such as smart phones or gps, but Suunto Core watch, which has a very nice altimeter. It was useful to monitor how much there was still to climb or to go down. No crampons, ropes or other mountaneering equipment is needed along the GR5 but I advice to have walking poles. I bought the gas after landing in Geneva. There was an Athleticum sports store just a half an hour walk from the airport. With the guidebook of Paddy Dillon (Cicerone Press) one manages well but as I was going alone and not speaking French I decided to have some maps as well. I ordered online (stanfords.co.uk) four IGN 1:100 000 maps, that will cover the whole route (144, 151, 158 and 165). Even if I cut off the extra halfs, they were useful to see more around the narrow corridor of the guidebook map, and to plan possible detours. I also printed from Gmpas maps of bigger urban areas, as they tend to be tricky to navigate. Beforehand I marked all the possible campsites and wild camping spots in to my maps. I tried to gather the info by reading other peoples trip reports. For campers I have compiled information where are the campsites and where could be possible to wild camp. 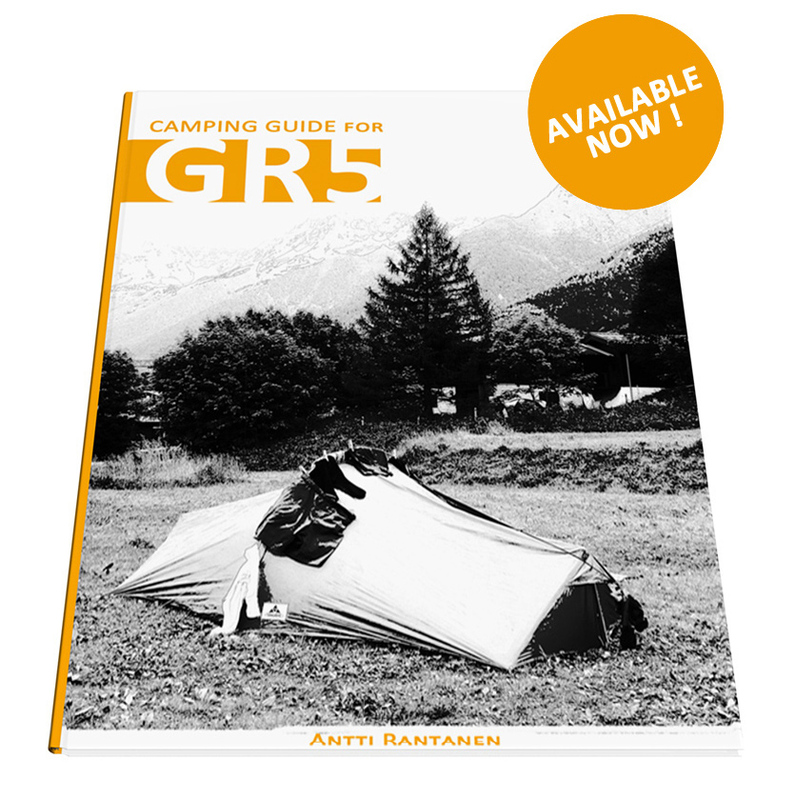 Just download the GR5 camping guide for FREE. I knew from the previous trips how the days will be and what condition I needed to be to cope with my planned schedule. Good basic fitness is enough if you plan your daily schedule according to it. During the previous winter I tried to cross country ski as much as possible, at least once a week a long half a day exercise. In spring I biked to work daily for couple of months, one hour per way. 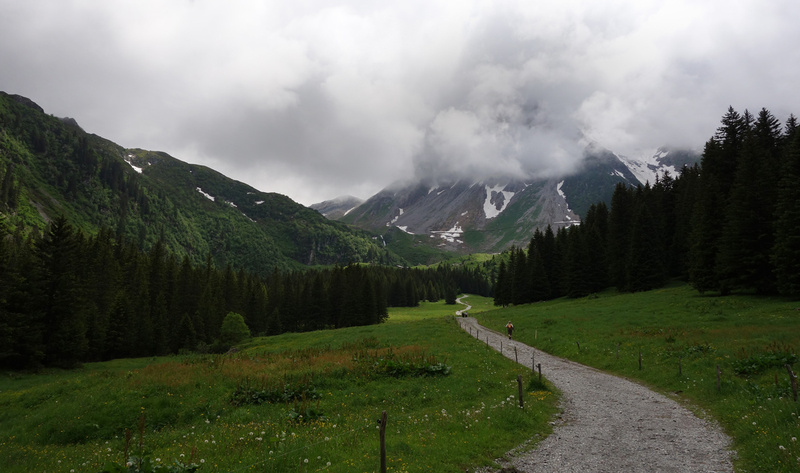 After the snow had melt I did few longer day hikes at the weekends with a full backpack. I also went several times to a local ski hill to hike it up and down so that I made at least 500 vertical meters per exercise. For me starting the day early comes natural but in my opinion all the factors speak for it too. It’s very quiet in the morning, even until 9 am, when the people have finished their breakfast at refuges and are beginning their days. 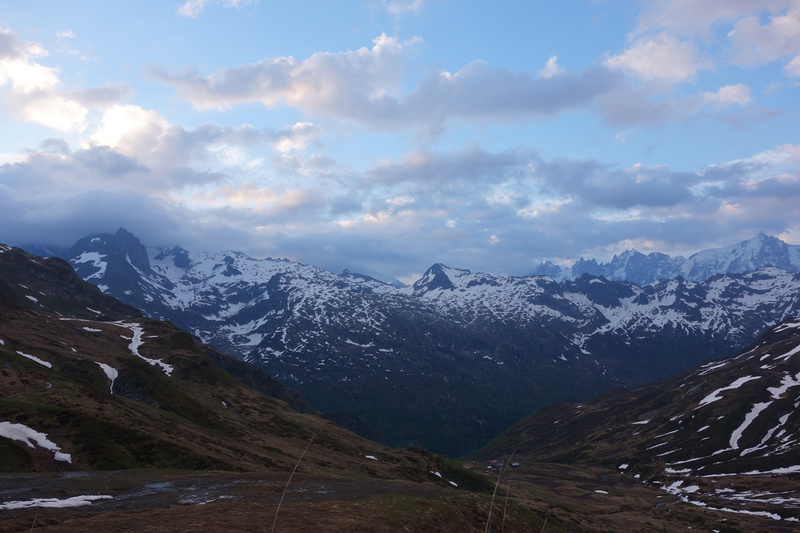 It was fantastic to be alone with the mountains, plus one sees much more wildlife during the early hours. 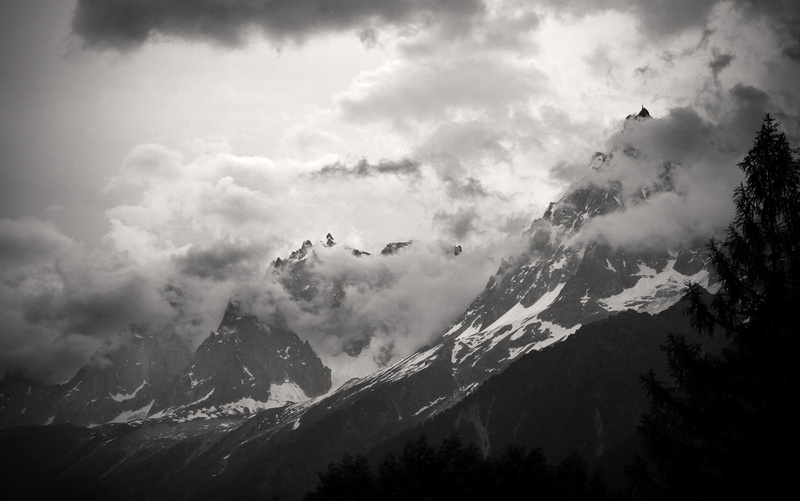 For me the most important factor was, however, to avoid the typical Alpine afternoon thunderstorms. More than once the storm hit just when I had my tent up. I like walking fast and as I had no one to chat with, I kept quite fast pace. Only few times I was very exhausted and close to my reasonable limits. I streched well every night and massaged my feet and muscles. I ate only fresh bananas or a muesli bar at the camp in the morning and kept my real breakfast break after walking an hour or two. I then ate plenty of choko muesli, some cookies and buns. 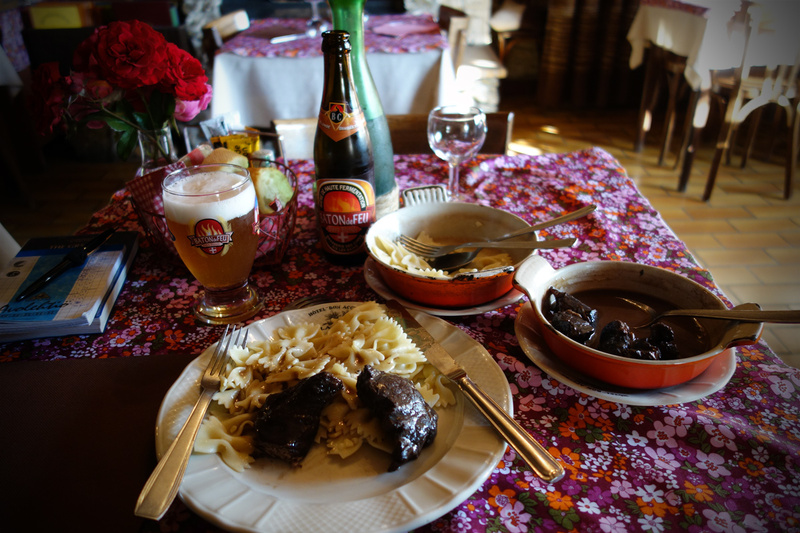 For lunch I usually had some bread, cheese and sausages. I kept the lunch break when my body began to ask for it. I tried to snack all the time; raisins, bars and a lot of chokolate. In the afternoon I might keep a second lunch break too. If I arrived early to camp, I boiled noodles or fast porridge to get a quick warm meal. Then I waited until seven to be served at a restaurant. If I was wild camping I ate either adventure food or fast rice with dried premade soup ingredients or similar, resupplied from grocery stores. I was carrying five adventure meals from home and tried to have all the time food for three days with me. From the supermarkets I tried to buy always something fresh, fruits and juices. I carried 1,75 liters of water, which was sufficient for me. There is plenty of water available and I didn’t need to drink from the streams at all. Not very advisable either as there are plenty of animals in great heights. I didn’t use any purification as the undrinkable water taps are marked so. 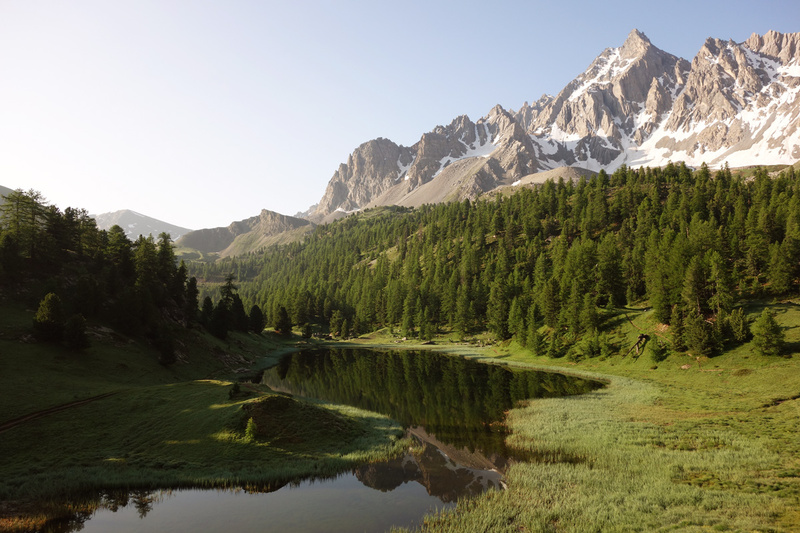 I think that I first came across your tales on the Corsica for hiking forum? We too enjoyed the GR20 and returned a few times for the other routes on the island as well as a traverse from South to North last year. 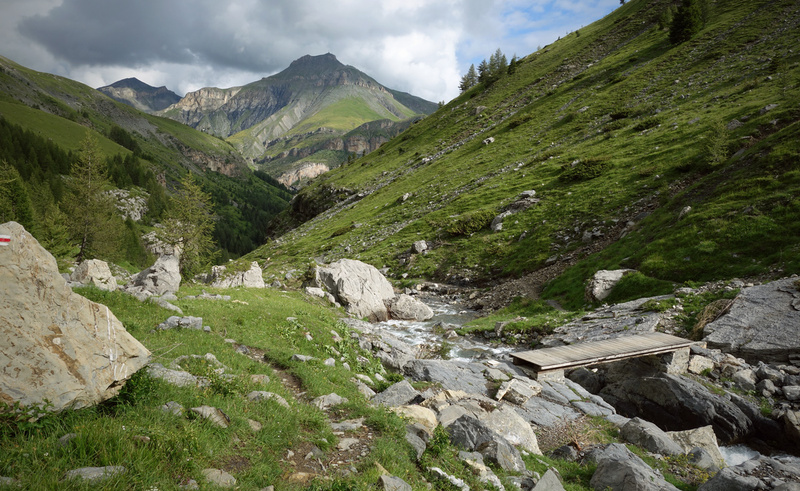 My wife and I are planning to walk the route but from Landry, we hope, to include the GR55 through the Vanoise and then later to visit the GR52 down to Menton. My wife, having lived and worked in Annemasse, is already familiar with the Lac Leman through to your stage two. But also we now Septuagenarians so we will need the full month to enable our plans to be realised! Was it from the beginning of July that you made your tour? 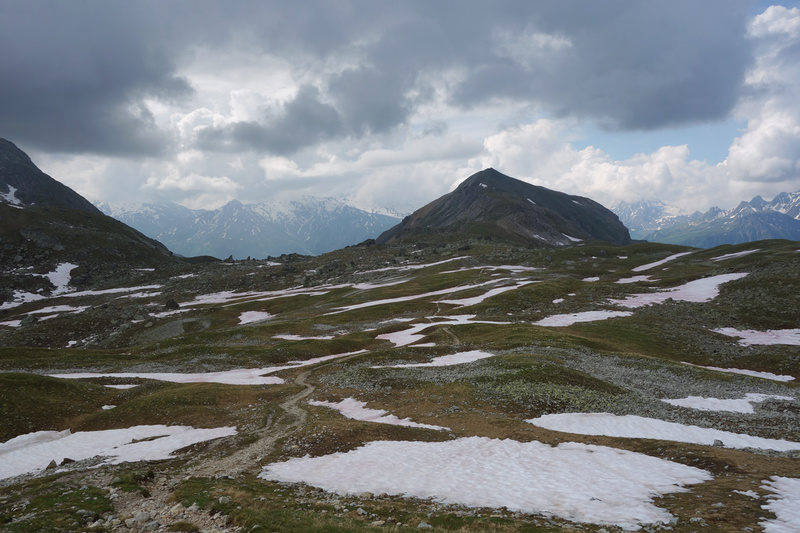 if so I guess that it would be around the middle of July when you reached the high passes in the Vanoise….lots of snow! Could last year, as it was in Corsica, be a bit irregular with the quantity of snow still remaining? Many thanks for the detailed report and images of your journey. Hello and thanks for your comment. I was active in Corsica forum as I hiked it back in 2010 so it might be that we came across there. How was GR20 last year? Still very crowded? Sounds good your plans! I truly recommend GR55 and I also have heard plenty of good things about the Menton finish. 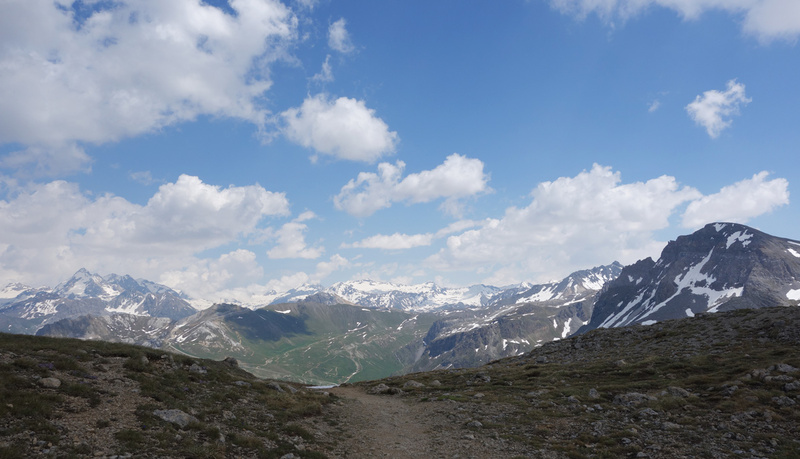 I left Lac Leman 27th of June, and reached Vanoise and GR55 the 7th of July. So it was early season, but also very special snow year. At least every one was talking like that. Plenty of snow during the winter, and then the spring weather was not helping the melting either. Yes, lots of folks coming and going. I began in the South last year having heard of the ‘remaining wintery problems in the North’. 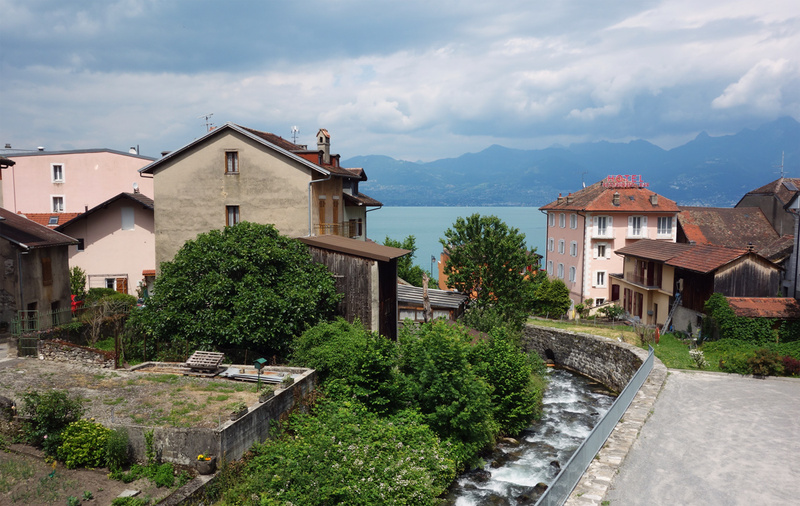 It was kind-of nice just easing into the walking from Conca as opposed to the fairly brutal first day up from Calinzana which we had experienced on two occasions but with completely different weather conditions…one very hot and the other with persistent rainfall. There were mini buses to transport folks around the cirque on account of the problems….both ways between Vallone and Ascu still running daily when I arrived to Vallone. 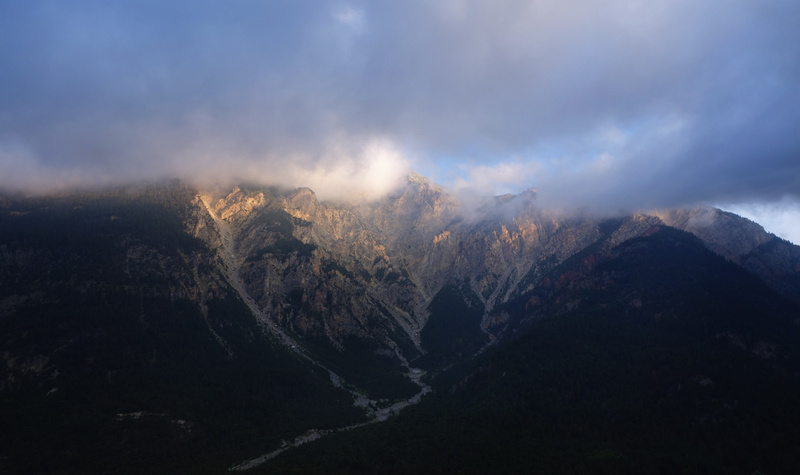 When I arrived to Bocca MInuta?, above the Solitude, I realised that the worst was in the past so the Cirque was open ….that would be around the 12th, of June . Between Petra Piana and Manganu the snowfields were almost continuous at the higher elavations. Where to for your journey this year? – was there water at La Planche? – did you need a gas adapter? – where did you restock gas? 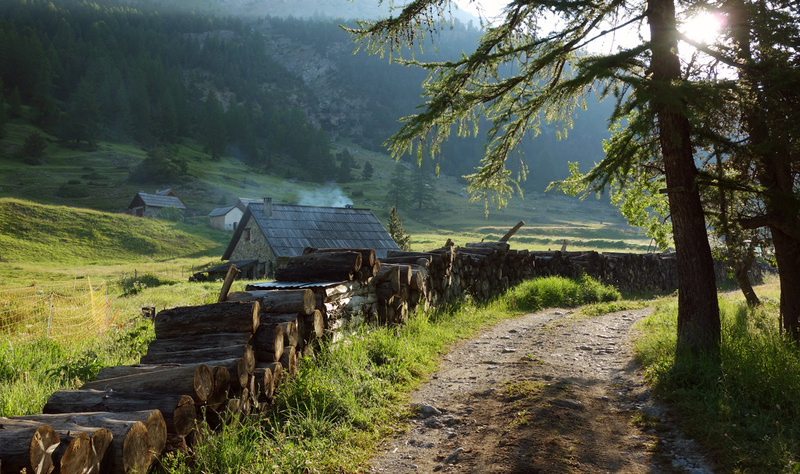 *La Planche meadow was just a wild pitch, no water source although you might go to ask from some of the nearby farm houses. But it’s not that far from St.Gingolph where the trail begins and that has a water fountain. *I bought right type of camping gas from Geneva, no adapter. You can see my cooking system in one of the photos of DAY20. There’s an Athleticum sports store just a half an hour walk from the airport. *I didn’t need to restock either, that 230g gas was more than enough as I didn’t use it every night (eating dinners also at restaurants). 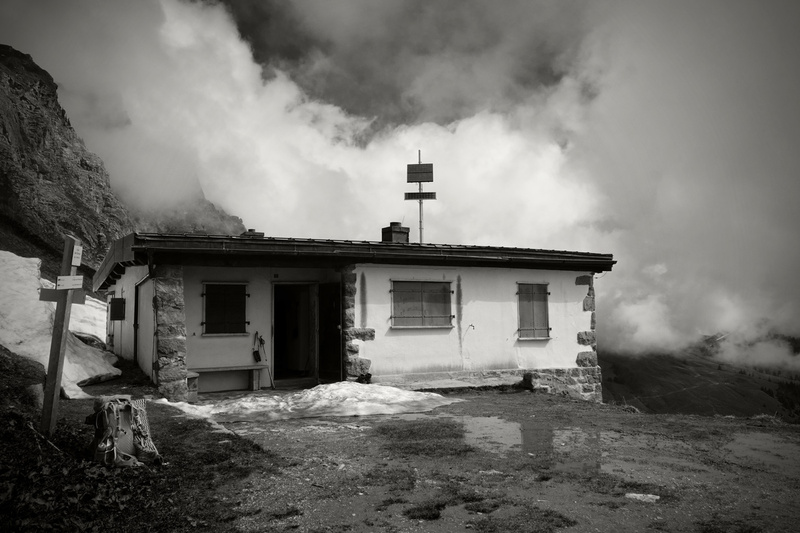 I would guess that you’ll find more gas from Chamonix or some other popular outdoorish villages if needed. I just discovered your adventure on Vimeo when searching for sample footage from the sony rx100 camera. Very nice and I really like your editing and shot selection. One question, though — this camera seems to use up the battery power quickly when shooting video. 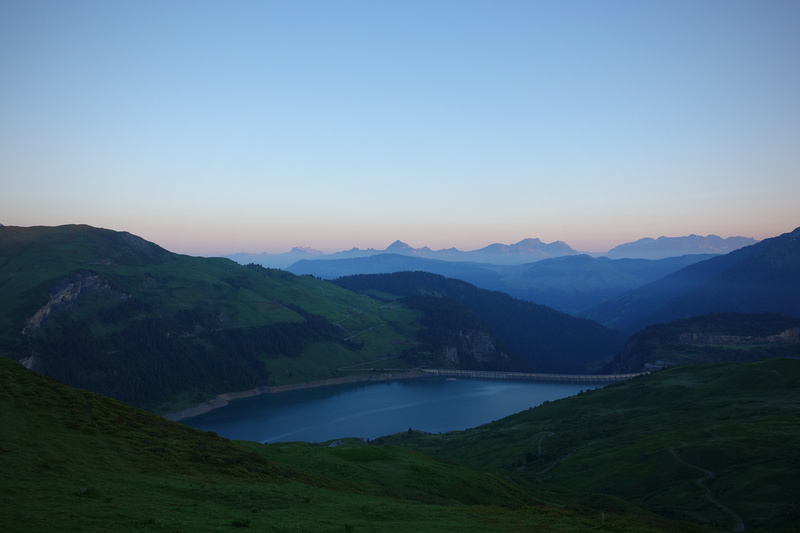 Did you bring spare batteries, use a solar charger, or charge along the trek at various stops that had electricity? I borrowed the camera for the trip, and if I remember right I had one spare battery. I managed pretty well with the power consumption and charged along the trail whenever it was possible. I shot very short videos as well. Great. Thank you. I’ll be watching for your next adventure. Be well. I want to celebrate my 60th birthday next July and intend to follow your route and if time allows go over to Corsica for some sun and complete the GR20. Sounds like a perfect way to celebrate your birthday! Check the excel-sheet at the top of this page, I have marked “the time on trail” of each day there. Hope it helps to plan and please feel free to ask more. Thanks and we will check trail times. Would it be possible to send a link to identify the camp sites on the route? 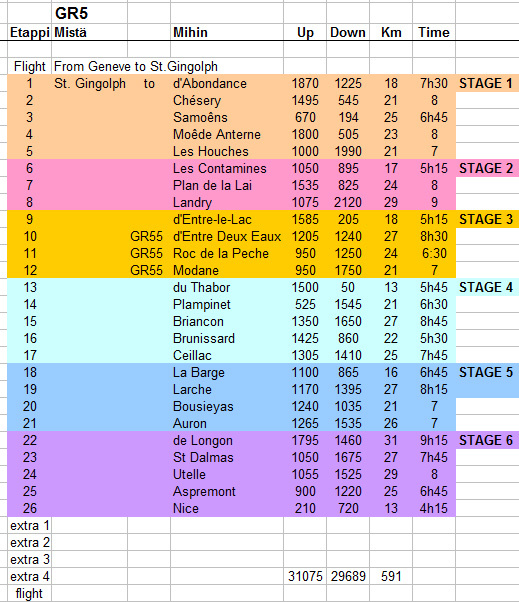 We have decided to finish by completing the GR20. Your blog is so informative, did you do one for Corsica? I’m sorry but I don’t have any direct link to campsites, so you have to use google maps, guidebook and various trip reports to identify good spots. I walked the GR20 with my two friends back in 2011. It’s a heavy trek and I myself couldn’t do it right after completing the GR5. 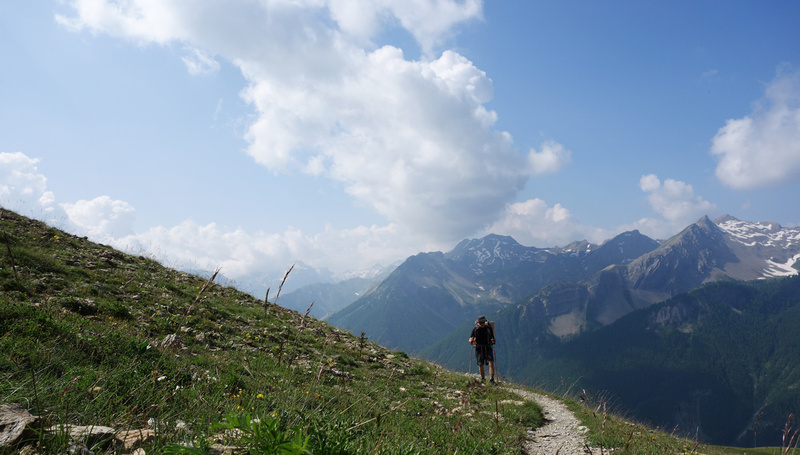 very interesting blog, like to see more long distance hikers. In witch dated did you do the GR% ? will you risk to do it earlier ( snow )? what about resupply? how many days of food is the maximun that you carry? 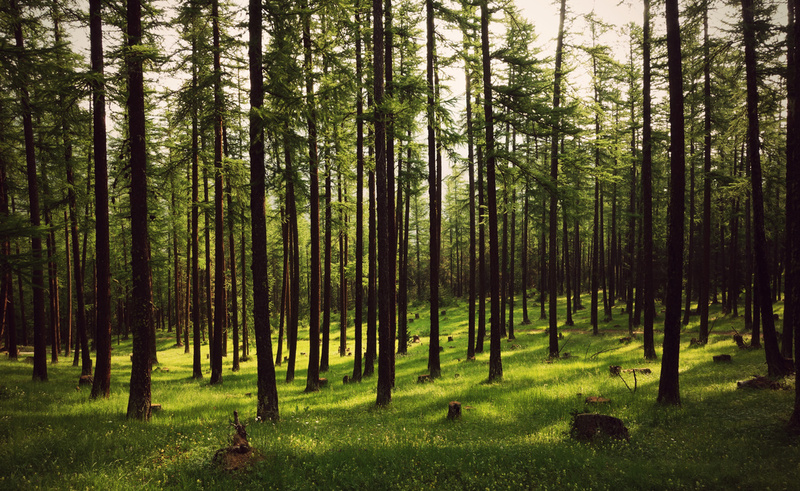 I did my hike between 27.6 – 22.7. I would not start much earlier because of the snow, but each year is different. I hiked after a very snowy winter and cold spring. 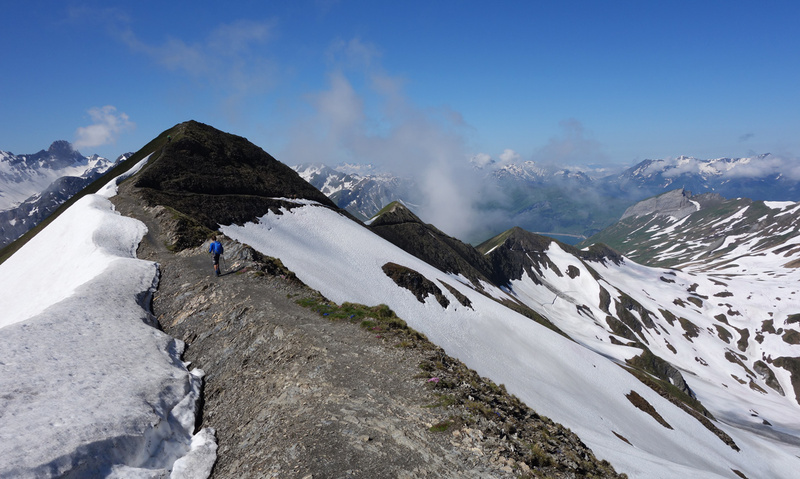 You can follow the TMB conditions, which will give you an idea of trail conditions in that area: http://www.autourdumontblanc.com/en/index.cfm/general-conditions.html From South is possible to start earlier. In the beginning I had with me dry food (dinners and snakcs) for 7 days, but then resupplying so that I was carrying at least for 2-3 meals, just in case. 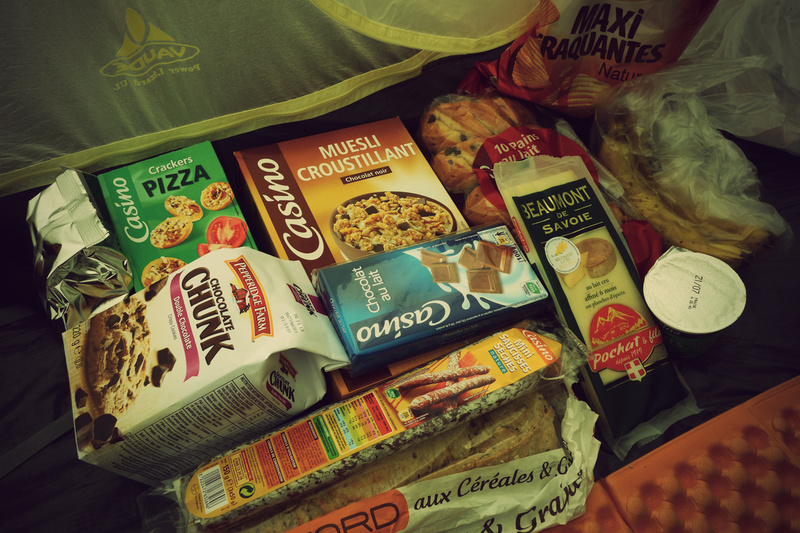 Plus breakfast muesli, chokos, bars, bread etc, but these you can resupply almost every day. I hope this helps! Hei Antti! Mahtavia reissuja sinulla! Alpit kolunneena osaisit varmaan sanoa, mistä löytyvät luonnontilaisimpina säilyneet alueet ja hiljaisimmat retkeilypolut? Haluaisimme nähdä mahdollisimman koskematonta luontoa ja upeita maisemia, mutta vältellä ruuhkia. Toisaalta tarkoituksena olisi majoittua retkeilymajoissa, joten kompromisseja täytyy tehdä. Matkan ajankohta on heinäkuun alussa, ja vaellukselle aikaa vain noin 1-2 viikkoa (maalla ei väliä). Olisin tosi kiitollinen kaikista vihjeistä! Hei Annemarie ja kiitos viestistäsi! Tsekkaa myös Relaa.com ja Vaellusnet http://www.vaellusnet.com/turinat/viewforum.php?f=14 Löytyy paljon hyvää tietoa ja minua kokeneempia neuvojia. Toivottavasti näistä saat jotain apua. Oikein mukavaa kevättä ja nautinnollisia suunnittelun hetkiä! ps. Heinäkuun alku on mainio ajankohta. Kesäinen, muttei vielä ruuhkainen. Lunta saattaa vielä viipyillä korkeimmissa solissa, mutta tuskin haitaksi asti. Great trip, great report, thank you for sharing it. 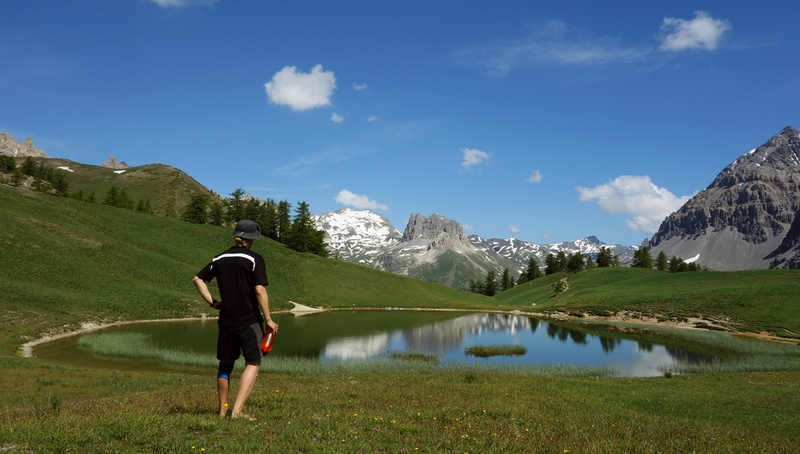 Did you have any problems wild camping through the Vanoise National Park? I have read it is forbidden in that area. Planning to do a mixture of wild camping/campsites and occasional refuge/gite this August. Yes it’s forbidden and one should plan accordingly. I did not want to disobey the rules, (and no one should), so if I wanted to sleep in a tent I had to make very long days to reach the official campsites. Thanks for this. Planning to leave in 2-3 weeks and your notes are very helpful! Were taking two dogs with us too and wild camping. Have a great hike Susan! This is a great amount of information. I am heading there the end of the month and appreciate the scoop. 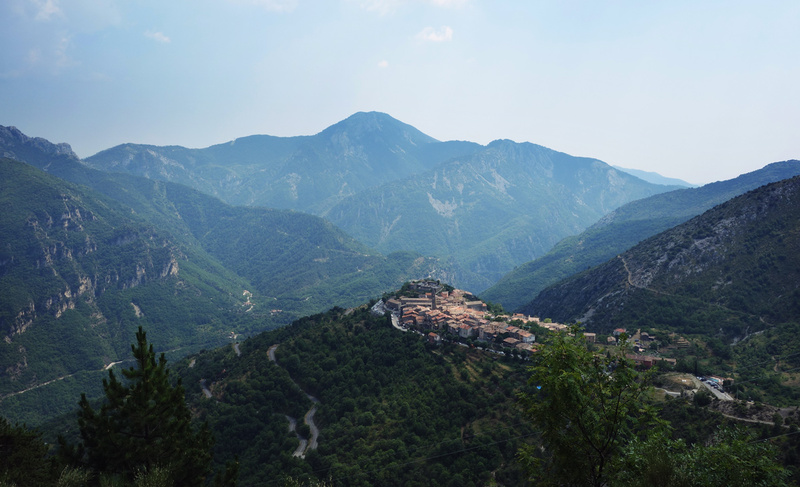 We are finishing in Mondane but would like to maybe trek a few more days so this is helpful. Hi Linda and thanks for your comment! A nice concise read. 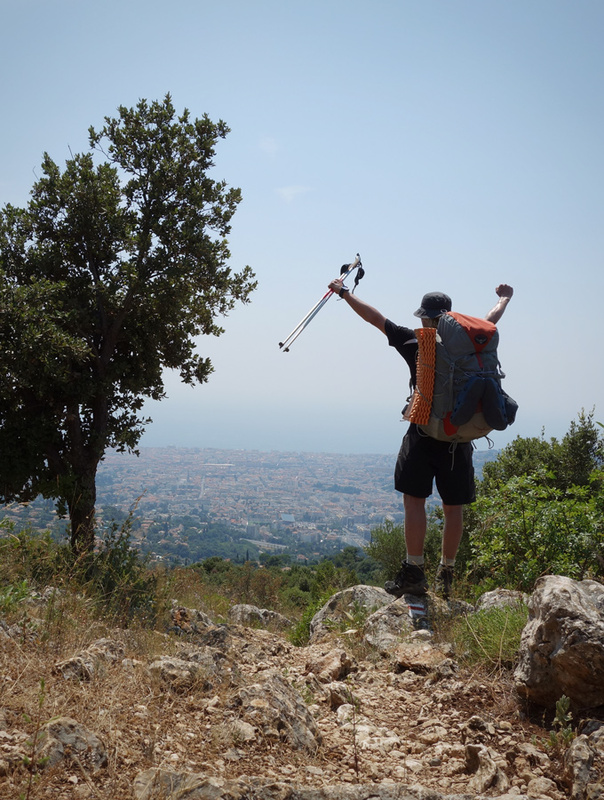 I’m looking to walk a section of the GR52/GR5 from Menton(Nice GR52 start) through to Ceillac. 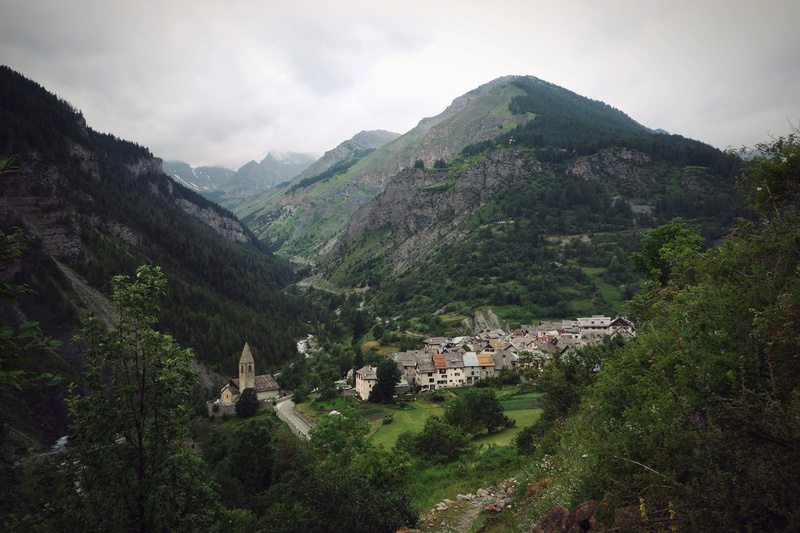 Last year I walked some in Modane around Vanoise ntaqion parque – some on the GT55. As a likewise camper, I’m surprised you rate the Dillon guide! I find he pays little attention to water sources, wild camping opportunities and camping logistics. His days/itinerary and thoughts are on refuge to refuge. 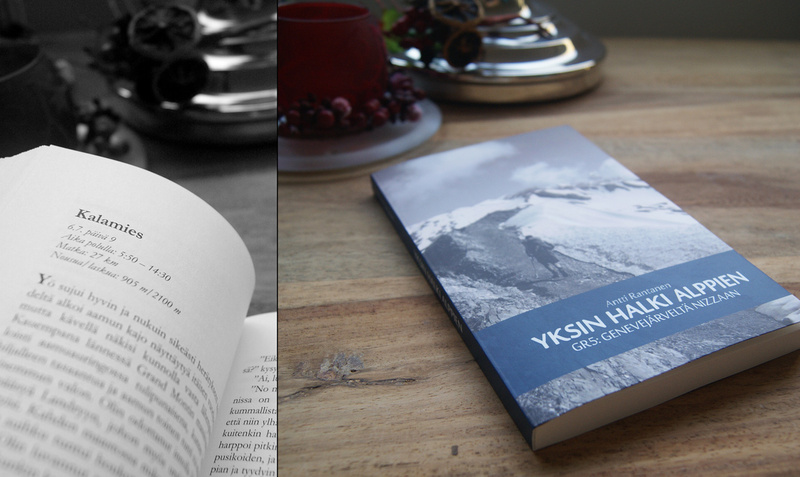 I find his guides long, heavy and full of unnecessary information that give you little insight into a region. You mention water sources etc. but none of this info is in a Dillon guide! Like where to buy your camping gas if you’re an avid English tea drinker! 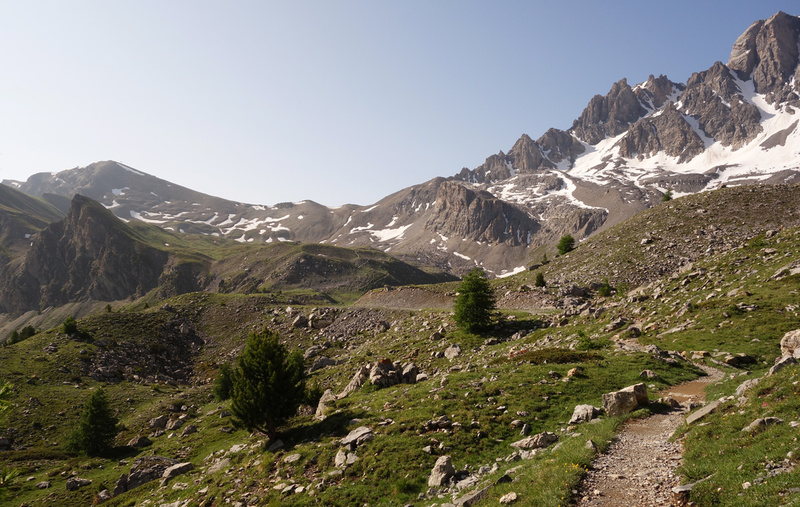 Other walks – try the haute route HRP in the Pyrennes. The Italkian GTA on the Italian side is good as well. 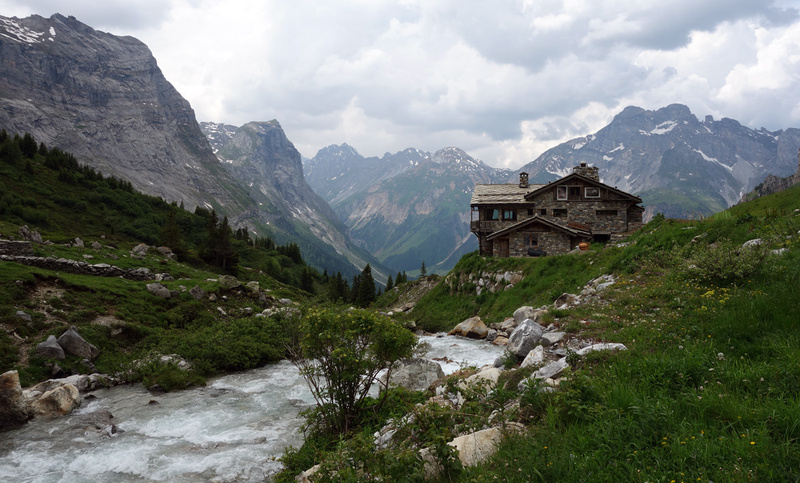 I hiked around Vanopise, crossed onto the GTA at Susa and headed north from there to the Italian Gran Paradiso. You can mix and match these GTs to walk for months if you want! You’ll find Gillian Prices guide on the GTA much more quirky,concise and interesting! Hi Richard and thanks for your comment! The Italian GTA is very interesting! 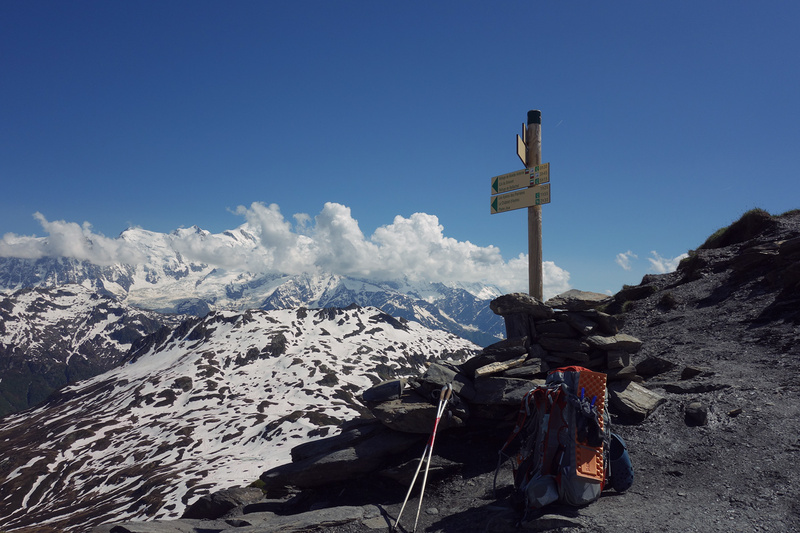 Hi Antti, I’m planning on doing the GR5 from Chamonix in 2016 and plan NOT to carry a tent and only stay at fixed camps, refuges etc.Can that be done? 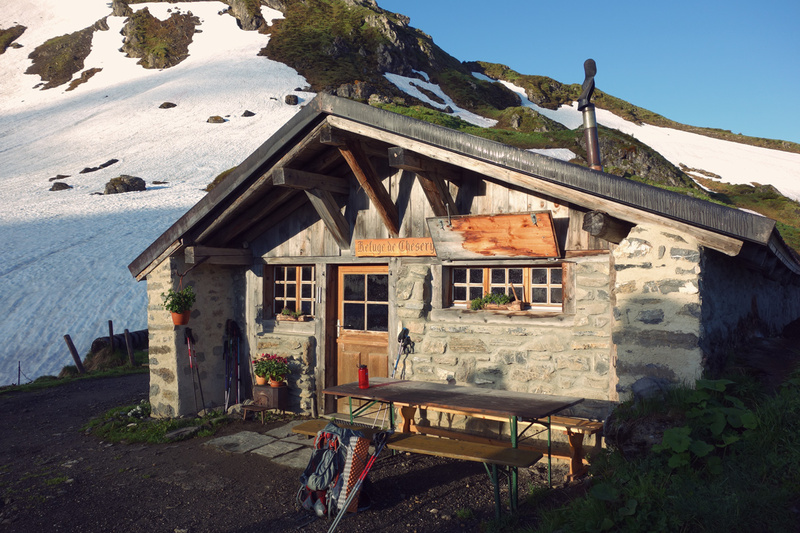 The Alps are full of accommodation options so it’s definitely doable without a tent, maybe even easier:) But pay attention if you need to book in advance, especially if walking during the high season when some places might be quite crowded. 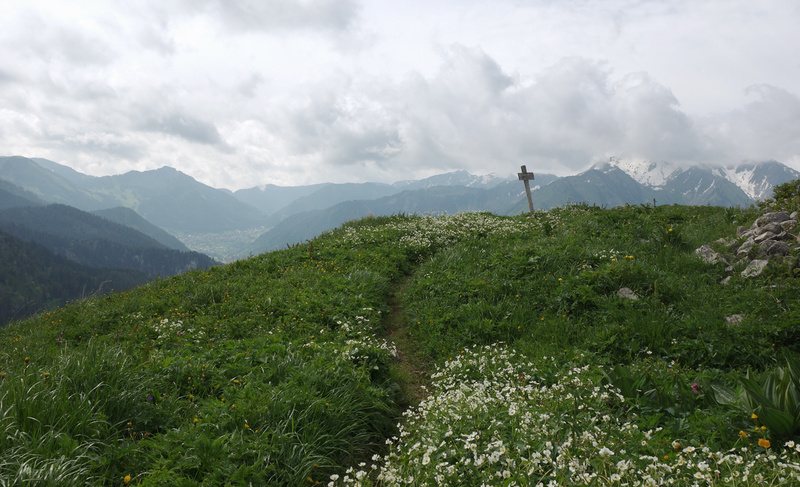 I completed the GR5 Lac Leman (St Gingolph) to Nice today (Sunday 6/09/2015). I used your website for some help in planning. Thanks for replying to a couple of my questions. What a walk! I am tired but happy! Remember my suggestion of a walk in Scotland………. Hi there, this is a great description of the exact route I want to take this summer with a friend. 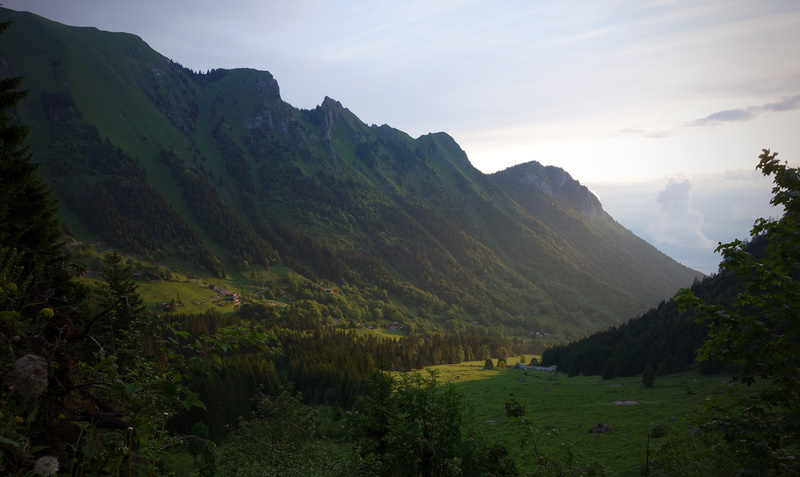 I have never hiked in the Alpes, so I have a few questions. – Do you need to reserve spots in the refugees from home? Are there usually spots for two available for drop-in? – What was the temperature like, I know it varies greatly depending on altitude, but just to get an idea in July. July shouldn’t be that busy on most parts of the GR5. I don’t think there’s much risk to start your hike without advanced booking. You’ll get a feeling when you’re there on the trail and can act then accordingly. Besides, your plans and timetables might change, so it’s problematic to book many nights in advance. But I’m not an expert on this matter. July is typically a hot summer month. The mornings and evenings are cool but temperatures rise rapidly well over 20 and even more in the valleys. But be prepared for bad weather when it might get windy, rainy or even snowy. Have to respect the mountains. Hi , really helpful site , have downloaded your camping guide so going to make use of your suggestions , we are going to start in late July and take 5 weeks I think , camping as much as possible , just trying to gauge your total pack weight I am right thinking 11kg without food / water ? Hi and thanks for your comment. I never remember what the pack weight was exactly, but close to 15kg with water (1,75 litres) and food (dry food and snacks for 1 week), so I think your estimation is quite right. Have a great walk, and please feel free to ask if any questions arise.